Do you love the starry night? Do you want to know everything in the sky? 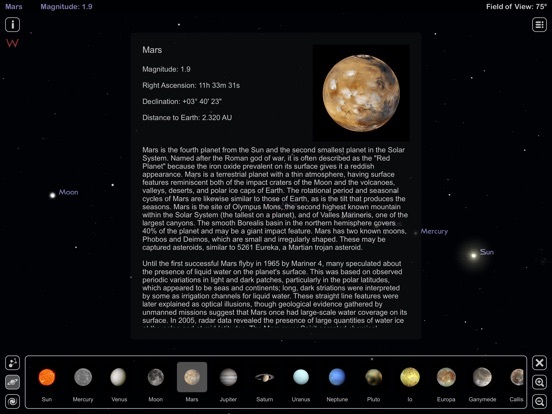 Star Rover HD is the fantastic planetarium for your iPad. Just hold up your iPad and Star Rover HD will tell you exactly what you are pointing at. Star Rover HD determines your location automatically. 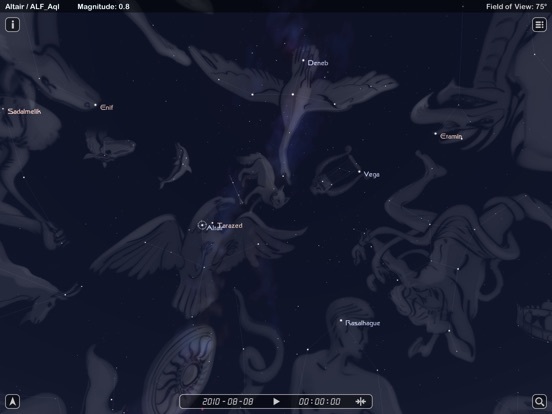 You'll see the stars, moon, planets, constellations in their proper place from your current location. 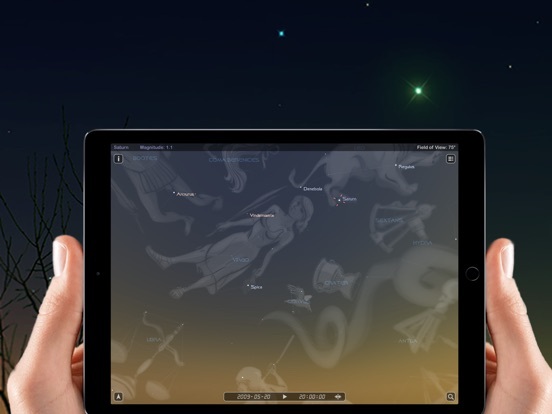 As you move your iPad, the star map updates in real time. 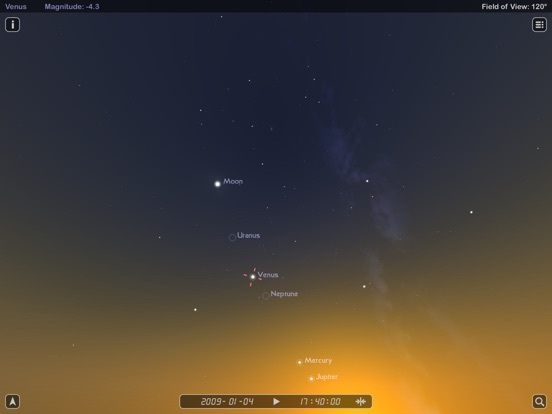 Star Rover HD makes the virtual sky a gorgeous view. You can see star twinkling, beautiful nebulae, occasional meteor and even sunset glow in the evening. Star Rover HD is very easy to use. 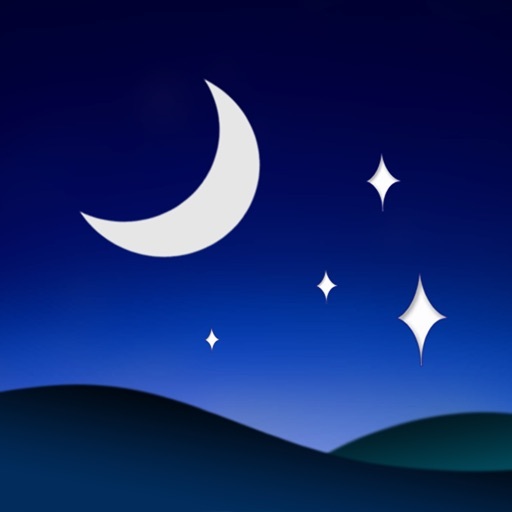 You can simply change the sky view in settings and use Quick Find for everything you want to know in the night sky. 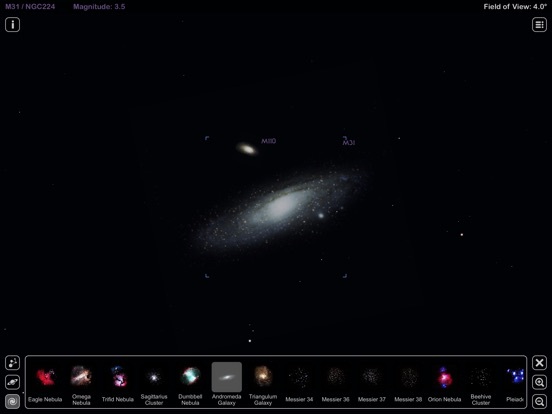 Star Rover HD lets you set your location manually so you can see the sky from any part of the world. It also lets you travel to the future or the past and see the sky on different dates and times. If you are planning for a solar eclipse, this is the app you need.